I watched some YouTube tutorials (out if which this video was the most informative) and Google's own written guide on how to update the OS on a Nexus device. Finally I was confident enough to attempt it, although I didn't go deep into the troubleshooting section. I wanted to be positive. Fortunately, I was able to update it in one go, without any issues. I won't go into the actual steps I followed, because that would be rephrasing the instructions in that Google guide and the YouTube video. All I can say is that I like the way the new OS looks but I'm not seeing any other improvements. Sure there are new features available with it such as Battery Saver, revamped notification tray, better stock keyboard (although I use Swype instead, as it is superior), multi-user support, screen pinning and smart unlock (I'm sure I missed few there), however I don't use most of them. What I care about the most are increased stability and speed. 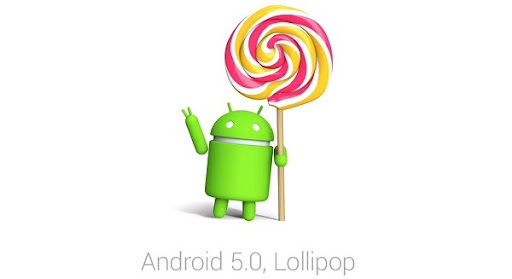 So far, Lollipop is way less stable than Kitkat. During the week I've had Lollipop on, I've run into a couple of large issues both of which required a reboot to resolve. One of them was related to the notification tray. One day I received a message on Viber, which was running on the background and it showed me its own notification on screen. I pulled down the system notification pane, by mistake, while Viber's notification was still being displayed on the screen and they clashed with each other. By clash I mean that they kept bouncing back and forth in an endless loop. I couldn't press the home button because the UIs were switching quickly and it was not accessible. (Wouldn't have been an issue if a hardware home button was there.) The only thing I could do was to press and hold the power button and shut the phone down. Luckily the power off dialog popped up and stayed on top of everything even with all the drama happening underneath and I could shut down the phone. On another occasion, the camera app failed to launch until I rebooted the phone. One of the main things Google tried to address with Lollipop was improving of battery life. They had a project specifically for this called Project Volta. However, unless I put the phone into Battery Saver mode, I see no improvement in general battery usage over Kitkat, which is sad because Battery Saver mode is the last resort as you can hardly use the phone when it is in that mode as it gets very slow. With Lollipop, my Nexus 5 can hardly go through a full day with a single charge despite having a larger battery than the iPhone. I also had issues with battery life with the iPhone 5S, and sadly the situation hasn't improved with the switch. I guess it is because of the way I use the phone out the signal quality. I should confess that I am using the phone with all the services enabled. In other words, I'm using the phone like a Smartphone. I couldn't do that with the iPhone at all. The disappointing thing about Lollipop is that it feels less snappier than Kitkat. Since Lollipop was all about polishing up Android, I thought we would get performance improvements too alongside UI improvements. Sadly that's not the case. Probably with time, I hope we see these issues polished out. Maybe with 5.0.2 or 5.0.3. BTW, except for the final formatting, I wrote the entire article on the Blogger app on Android using the Swype keyboard. Edit: There are reports of Android 5.1 coming out in February to address these issues encountered on the Nexus devices. Happiness!